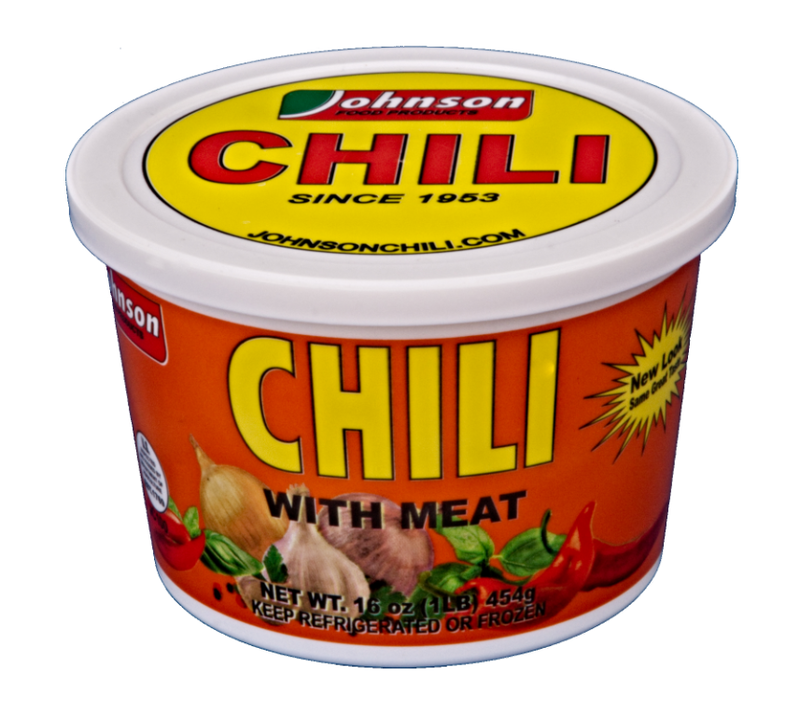 Satisfying the most discriminating palate, original Johnson Chili is made with only USDA inspected and approved beef and pork combined with a special blend of chilis and spices. The recipe for original Johnson Chili has not changed since its early days. To lock in that fresh flavor, the chili is flash frozen in convenient 16 oz. resealable plastic containers. That’s why you’ll find it in the frozen section of your favorite store. 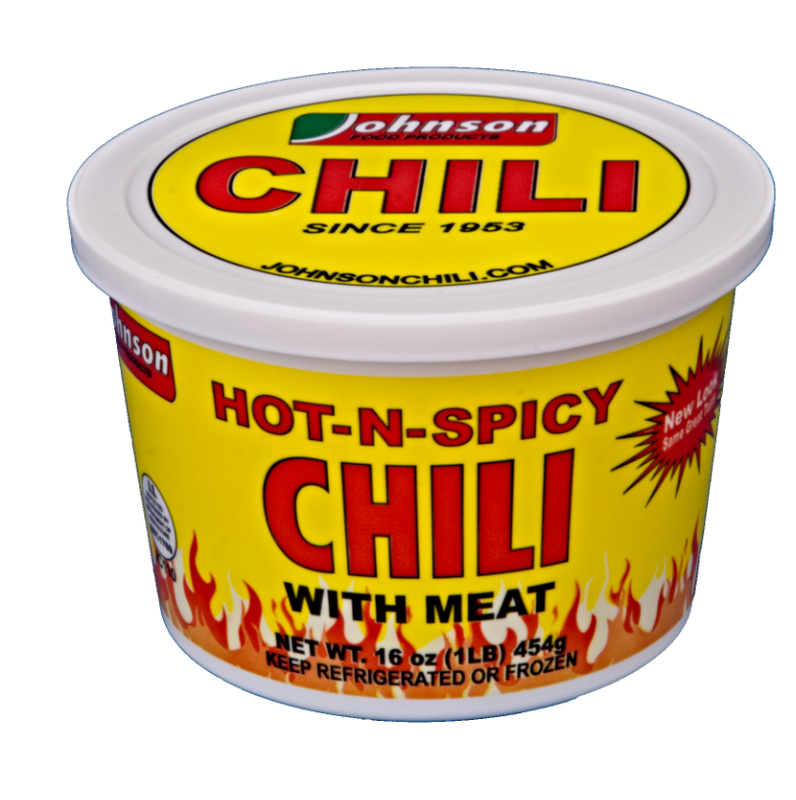 Hot-N-Spicy Johnson Chili is made with a spicier blend of chilis and spices combined with USDA inspected and approved beef and pork to satisfy the palate seeking a hotter flavor. 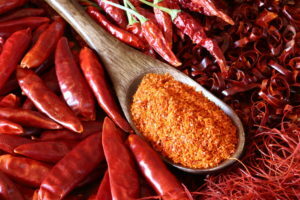 The Hot-N-Spicy recipe evolved out of the early days to become a favorite flavor of many Johnson Chili devotees. 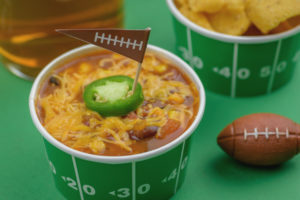 To lock in that fresh flavor, the chili is flash frozen in convenient 16 oz. resealable plastic containers. That’s why you’ll find it in the frozen aisle of your favorite store. 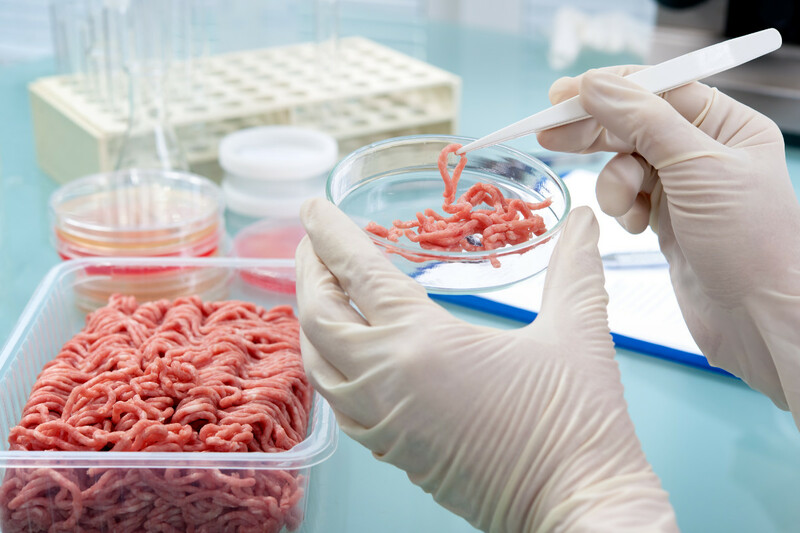 Through our processes, your risk of e-coli, salmonella and listeria are eliminated. Along with an ultra-clean precooked product the process also provides the extra benefit of a fresh 90 to 120 day shelf life. Our quality assurance personnel provide detailed attention to every stage of our food processes, from production to delivery. For you- our customer- this means giving you the assurance of knowing who and what to trust as a manufacturer. 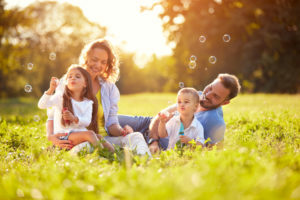 Our documented and detailed quality assurance processes lead to convenience food products that consistently meet the high standards our customers expect. 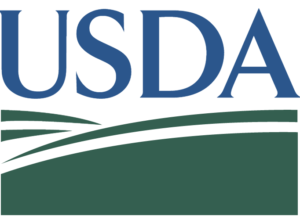 We undergo daily inspections to ensure we are meeting the rigorous guidelines established by the USDA. These audits and inspections are used to qualify our manufacturing processes. Our employees are trained with commitment to food safety operating under the Good Manufacturing Process (GMP). GMP is the practices required to conform to the guidelines recommended by governmental agencies that control authorization and licensing for manufacture and sale of food products. 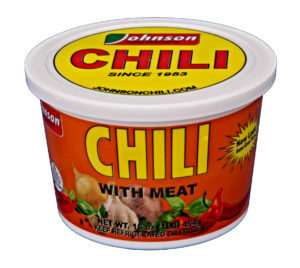 Join the Johnson Chili community and share in and be part of all the good things that are Chili. 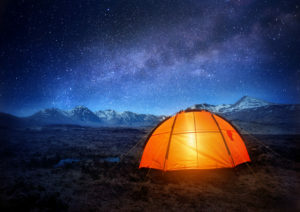 We want to hear from you and have you stay connected. 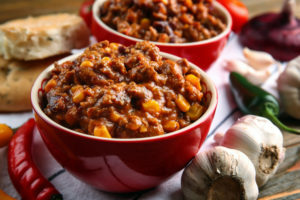 Keep up with our news, planned events, special offers and promotions directly from Johnson Chili, your Rocky Mountain high chili manufacturers by joining our Johnson Chili Club. 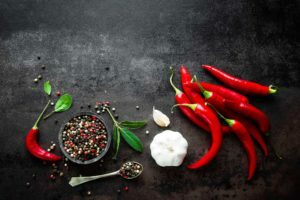 Maybe you’d like to help us build the Johnson Chili Recipe Collection and claim some fame on the way. We aim to have a fantastic recipe library with fun and delicious creations. Do you have a great recipe and want to share it? 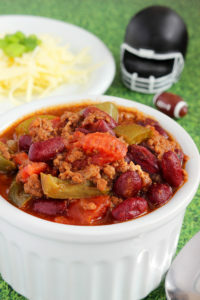 We’d love to credit you and add your recipe to our site for other chili enthusiasts. Don’t forget to check out the Johnson Chili Facebook page!